The Nikon Coolpix S3300 is the most basic of the four new S-series 2012 Nikon Coolpix models brought out this year. Featuring a 16 megapixel traditional CCD image sensor, 6X optical zoom with optical image stabilization, automatic shooting and scene modes and 720p HD movie mode, the Coolpix S3300 is geared towards the crowd wanting a compact and affordable camera with better functionality than the built-in camera in their smartphone. he Nikon Coolpix S3300 and its near-twin, the Coolpix S4300, occupy the sub-$200 range and are near identical except the Coolpix S4300 sports a slightly larger 3 inch display that’s also a touchscreen, more internal memory but worse battery life and a higher price tag. The Nikon Coolpix S3300 supports SD, SDHC and SDXC memory cards; and comes with just 42 MB of internal memory, not enough for practical use. The camera works fine with any memory card and based on my testing, did not appear to receive any significant performance boosts with a high-speed card. However, a high-speed memory card is certainly beneficial when you want to download photos quickly from your memory card reader to your computer. I would recommend a decently sized 4 GB SDHC card to start with and this size will suffice for a decent amount of pictures and Standard HD video. The Nikon Coolpix S3300 comes with the rechargeable lithium-ion EN-EL19 battery and supports USB charging. The Coolpix S3300 comes with an AC adapter and USB cable and you will charge the camera similarly to how you charge your iPhone or smartphone: by connecting the camera to the wall charger or computer. This slim little battery that comes with the camera can power the Coolpix S3300 to an estimated 210 photos per charge, which is a tad below average for a compact camera. To extend battery life, you could get a spare battery or take fewer photos using the camera flash. Not surprisingly for an entry-level digital camera, there aren’t any accessories available for the Coolpix S3300 except replacement cables for the ones that came with the camera and also a standalone battery charger, which comes in handy to keep a spare battery charging at home while you’re out with the camera. The Nikon Coolpix S3300 is a remarkably small camera which is comparable to the iPhone in terms of size. The camera measures 94.8 x 57.8 x 19.5 mm (3.8 x 2.3 x 0.8 inches) and weighs a super light 128 grams (4.6 ounces) when loaded with its battery and memory card. The Coolpix S3300 is definitely small and light enough to slip into any pocket and travel with you each time you step out of the door. The Nikon Coolpix S3300 has decent build quality. The camera doesn’t feel ‘premium’ in any way, which is fine considering it costs under $150, but it isn’t flimsy either. The Coolpix S3300 is put together well and I have no particular rants about build quality. Ergonomics of the camera are decent; there are just a few buttons on the camera, all of which are clearly labeled – the Coolpix S3300 is an easy-to-use camera and anyone would be able to pick it up and use it right off the bat. Not surprisingly for a modern camera, the Nikon Coolpix S3300 comes in your choice of 5 different colors: silver, black, pink, purple or dark red. This cheerfully-colored Coolpix S3300 that Nikon sent is the pink model. If you live in Europe, there are even more colors to choose from; the choices above plus blue, cyan and gold. The Nikon Coolpix S3300 has an above average amount of zoom with its 6X optical zoom lens. The lens on the camera is equivalent to 26 – 166 mm which is a decent range that will get you both wide-angle photos and zoomed-in shots. The Coolpix S3300 is also equipped with optical image stabilization (what Nikon calls Optical VR), which helps reduce chances of taking blurry photos caused by camera shake. All-in-all, the Coolpix S3300 has a better than average lens on paper; compare that to the similarly-sized Sony Cyber-shot W620 we just reviewed which has only 4X optical zoom with no real image stabilization. To the bottom right edge of the lens is the mono microphone used for recording sound with movies on the camera. There’s also an autofocus assist light/self-timer countdown lamp located to the upper right side of the lens and the built-in flash to the other side. The Nikon Coolpix S3300 has a powerful flash, with a range of 50 cm to 4.5 meters (14 feet) at wide-angle and up to 2.4 meters (8 feet) at maximum zoom. The Nikon Coolpix S3300 has a 2.7 inch LCD display which is average in size for an affordable entry-level camera but on the small side if you’re a smartphone owner; even if you own an iPhone whose screen size is 3.5 inches, it makes a whole world of difference. The screen has a resolution of 230,000 dots which is adequate, but again, menus and live view look low resolution if you’re used to more expensive displays. The LCD has good visibility in both bright and low light when viewed head-on. To the right of the camera are its controls and an indicator light for flash/power status. As mentioned, the Nikon Coolpix S3300 has clearly labeled buttons so it’s unlikely you or anyone using the camera will feel baffled when trying to take pictures. At the upper right corner is a movie start/stop button, followed by buttons for selecting the camera’s shooting mode and entering playback respectively. Skipping over the navigation pad for a while, we have buttons for entering the camera menu and deleting photos. Hitting the mode button on the Nikon Coolpix S3300 brings up a screen which allows you to select from several shooting modes: Regular auto mode, scene modes, photo effects (effects such as soft, low/high key, monochrome, etc) and smart portrait mode. The Coolpix S3300 has plenty of scene modes, ranging from portrait to fireworks, from panorama mode to beach and snow scenes. There’s also scene auto selector which takes the effort out of selecting a scene mode by having the camera automatically choose one for you. Smart Portrait mode brings up all the features needed for the camera to take good people photos, ranging from smile detection, blink detection, skin softening and redeye removal. The Nikon Coolpix S3300 has a handy favorites page in playback that can be accessed via the OK/center button. This brings up a page where you can place 9 of your favorite photos and quickly access them. The Nikon Coolpix S3300 has a live view display that is relatively simple; showing a zoom indicator, simple battery indicator and some shooting information. The Nikon Coolpix S3300 has a very simple menu area. In the shooting menu, you can change image size, white balance (there are several presets as well as a custom white balance option available), drive mode, ISO sensitivity, color options for photos, focus area (choose from face detection, single point, subject tracking or manually move the focus point around the frame using the navigation pad) and focus mode (single or continuous focusing). The setup area contains a standard bunch of settings for time and date, focus assist light and more. 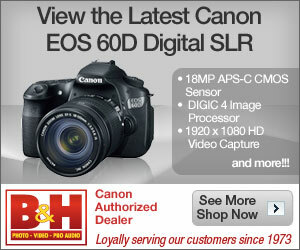 You can also find options to enable/disable optical image stabilization, motion detection and Eye-Fi card support here. Speaking of which, the Nikon Coolpix S3300 supports Eye-Fi SD cards which are able to wirelessly transfer photos when connected to a Wi-Fi network so you can automatically upload photos to your favorite social networking websites or computer. The Nikon Coolpix S3300 has a good macro mode that has a minimum focusing distance of 5 cm (2 inches) at wide-angle and 100 cm (3.3 feet) at maximum zoom. That should pretty much do it for most folks’ close-up photo needs. You’ll find the power button and shutter button with zoom controller wrapped around at the top of the Nikon Coolpix S3300. If you’re in the camera menu, you can push the zoom controller towards the ‘zoom in’ position for tooltips and help about menu items anytime. Both sides of the Nikon Coolpix S3300 are empty, with one side of the camera being home to a handle for attaching the wrist strap. At the bottom of the Nikon Coolpix S3300 are its plastic tripod mount, speaker and battery/memory card compartment. The compartment door is surprisingly sturdy, even more-so compared to some pricier cameras which have flimsy doors. The Nikon Coolpix S3300 has a decent 720p Standard HD movie mode. The camera can record 1280 x 720 Standard HD movies at 30 FPS with mono sound until the memory card fills up (up to 4 GB for each movie file). You can also lower movie size to VGA (640 x 480) or QVGA (320 x 240) to conserve space; frame rate still remains at a smooth 30 FPS for both settings. You can enable continuous focusing and wind filter while recording movies but you cannot use optical zoom once you start recording on the Coolpix S3300. Instead, the camera lets you use digital zoom which might lower the quality of your movies. Performance testing of the Nikon Coolpix S3300 was done using a high-speed 45 MB/s Sandisk Extreme Pro SDHC card. The Nikon Coolpix S3300 isn’t a performance champion at all. The camera manages speeds that range from average to slow; good enough for the occasional picture-taker but you will likely notice the wait time between photos. The Coolpix S3300 has three multi-shot modes, though there’s only one main full-resolution continuous mode, which shoots at a little over 1 photo per second for up to 6 photos in a row. Best Shot Selector takes a bunch of photos in a row, but the camera decides and saves only the sharpest one. Multi-shot 16 takes 16 small photos in a row and assembles them into a single collage. The Nikon Coolpix S3300 produces clean but overly smoothened photos at ISO 80 and 100. That means photos are free of noise but lack finer details and textures. Moving up to ISO 200, photos look a touch noisier but retain the same characteristics as the previous pictures. Expect to be able to make medium sized prints and display out of photos produced by the Nikon Coolpix S3300. Photos begin to look soft and muddy at ISO 400 though image quality isn’t horrible and still usable at this point. At ISO 800, image quality becomes softer and lose more details along with some saturation. This would be the highest setting you would want to use if you want usable pictures out of the Nikon Coolpix S3300. ISO 1600 and ISO 3200 are both unusable and seem to always have a bluish cast, probably due to camera processing. Also, image size is automatically lowered to 4 megapixels at the ISO 3200 setting. The Nikon Coolpix S3300 has not much lens distortion, which is good. However, edge softness is visible at the very edges of photos along with minor color fringing (chromatic aberration). Check out full-sized photos taken using the camera in the Nikon Coolpix S3300 photo gallery. The Nikon Coolpix S3300 has a pretty good playback mode for a budget camera. There are the basics such as image protection, resize and cropping, print marking and slideshow mode. There are also several editing features: Quick Retouch (improves saturation and contrast), D-Lighting (improves brightness), Glamour Retouch (for improving skin tones and such in photos of people), skin softening and filter effects (selective color, cross screen effect and more). The Nikon Coolpix S3300 has a bare playback screen; the camera only shows the date and time of photos but tells you nothing about the settings used for your photos. The Nikon Coolpix S3300 is an affordable, basic digital camera that’s easy to use and has a basic feature set. The camera has a bunch of scene modes, photo effects and is literally a point-and-shoot camera. You can adjust things like exposure compensation, ISO and white balance presets if you wanted to, but you don’t have to. The Coolpix S3300 has a 6X zoom lens with optical image stabilization, which is certainly a slight cut above what you’ll get with other budget cameras. There’s nothing too special about the camera’s 16 megapixel regular CCD image sensor, 2.7 inch screen and so-so battery life; that’s pretty much on par with other compact digital cameras these days and other basic entry-level models. With its low price tag come some cut corners. The Coolpix S3300 performs weakly in the movie mode department and performance of the camera isn’t so hot, though speeds are bearable for the casual picture taker. However, the camera has a more powerful than average flash, plenty of scene modes and photo effects, along with a nice playback mode with various retouch and editing tools. It’s certainly not the best camera ever, but the Coolpix S3300 is ‘above average’ relative to other budget models. The Nikon Coolpix S3300 is a decent pick if you’re looking for passable image quality, that remains competitive or edge out quality produced by modern smartphones (read: not fantastic but you may be able to get by) but with ‘real camera’ features like 6X optical zoom (something you won’t get on any mainstream phone so far), ISO settings up to 3200, a powerful flash and various photo effects. Your youtube postings video titles say: Sony Cyber-shot W620 camera sample video. Which camera were these taken from? With the USB charging does that mean if I plug it into my laptop/ computer it will charge up the battery or do I have to use the adaptor and a wall socket? I only ask because I am going travelling soon and it will be infinitely easier to just take the USB cable. Cheers and thanks for the excellent review! my Nikon Coolpix s3200 makes pretty good images if you’re not zoomed in very far at all. Once you zoom in very far at all with or without image stabilization (VR) on the pictures are awful. Look like they’re not focused at all even though the camera says they are before you snap the picture. I’ve even tried this on a tripod with and without VR on. The tripod makes no difference. It seems to me that all this camera is good for is close up snapshots. Don’t know why they make a big deal out of 6X zoom. It is totally useless. Never expected it to look great but like I said, you zoom in even a little bit and the photos are terribly out of focus. Is something wrong with my camera?